We are seeing camo patterns showing up more again. 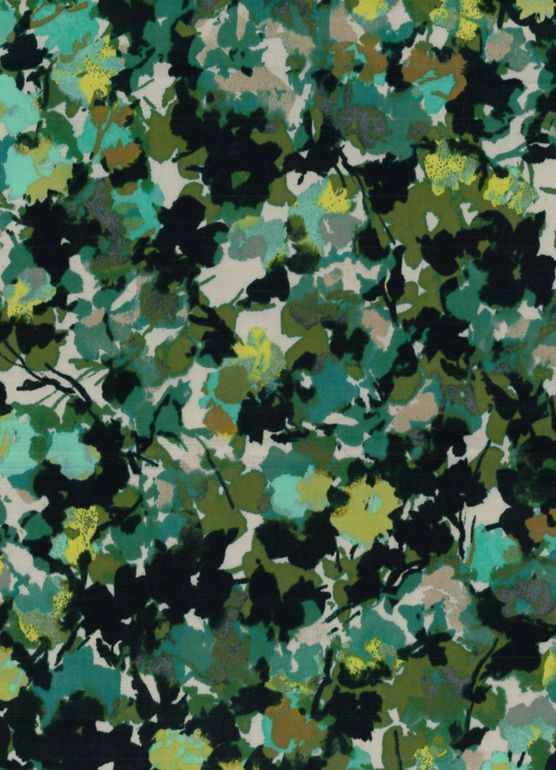 While there is a lot of the traditional camo patterns out there - what’s trending is the unrealistic camo pattern or camo done in different fabrications from satin silks to textured fleece. In its true purpose, camo is used to conceal or to blend in with the surroundings. In this case, camo is a statement piece, the notice-me piece. When designing or choosing a camo print - look for untraditional shapes, possibly other motifs blended in or incorporated in the pattern. Color is traditional with unusual pops and combinations.